Military court in Egypt sentences to death nine members of local ISIS affiliate who were convicted of involvement in 2013 attacks. A military court in Egypt on Wednesday sentenced to death nine members of the Ansar Bait Al-Maqdis terrorist group, which is also known as the Sinai Province. Another member of the group was given a 15-year sentence, according to Egypt Today. Sinai Province is the Egyptian affiliate of the Islamic State (ISIS) group. The ten members of the North Sinai-based group were convicted of involvement in a series of attacks targeting police and military personnel since 2013. The case involved 155 defendants involved in 12 different terrorist attacks, including bombings in Egypt's North Sinai and the 2015 bombing of the Italian consulate in Cairo, according to Egypt Today. The sentencing came one day after Egypt executed 15 prisoners convicted of attacks on security forces in the Sinai Peninsula. 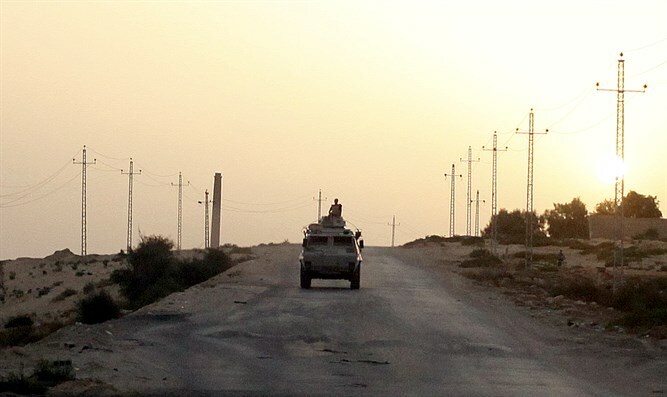 Most of the attacks in the Sinai Peninsula in recent years have been claimed by the Sinai Province.